"The game went on. And on. 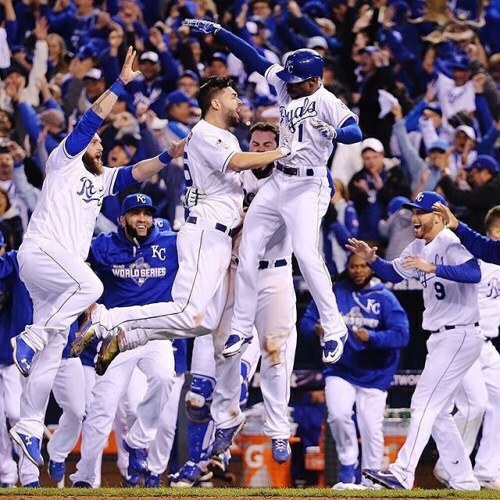 By the time the @kcroyals celebrated after defeating the @mets 5-4 in #Game1 of the @mlb #WorldSeries, they had played 14 innings. The @nytimes staff photographer Richard Perry watched inning after inning go by before capturing the #KanasCity squad leap for joy. The game was tied for longest in World Series history. Follow @nytimessports to see more photos from last night's game. #Game2 takes place tonight. Bring snacks! #regram" By nytimes on Instagram.